Houses & Homes VA: The right loan is just as important as the right home! The right loan is just as important as the right home! A recent report released by the CFPB (Consumer Financial Protection Bureau) and FHFA (Federal Housing Finance Agency) shows that almost half of today’s homebuyers do not take the time to shop for a home mortgage when buying a home. I find this to be a bit surprising and feel that such an important decision requires due diligence on the part of the buyers. There are many facets to consider when seeking a home loan and being uneducated as to what is currently available could result in thousands of dollars needlessly spent by the buyer. It is important to compare the term of the loan as well as the type of loan being considered and not only the interest rate. 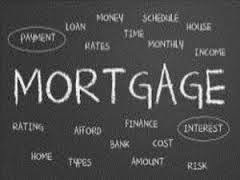 For some a 30 year mortgage may be a wise choice but a shorter term loan (such as 20 years) would save the borrower thousands in interest and may be a better choice for others. There are fixed rate or adjustable rate loans to consider as well and the requirements to obtain the loan also vary depending upon the lender. Then there are the differences between VA loans, FHA loans and conventional loans from private sources. An uneducated consumer simply doesn’t have enough information to make the best decision depending upon their own personal needs and financial situation. Of all of the home buyers in 2013 nearly 50% did absolutely no research to compare loans before submitting an application and less than 25% of them applied with more than one lender. 70% of buyers admitted that most of their information came directly from their lender or mortgage broker and not from an outside or “neutral” source. They relied entirely on what they were told and made their decision based solely on this information. Many borrowers felt it was important to obtain a home loan from a source that they already did business with such as their bank or credit union and sited this as a good reason not to shop around. This clearly limited their choices and could be costly in the long run. Perhaps most surprising of all is the fact that 30% of those persons on the market for a home were not even familiar with current mortgage rates at that time and had no way to make an informed decision. If you are currently in the market to buy a home you should take the time to shop for a loan. Become familiar with the different interest rates offered with different types of loans and don’t be afraid to apply with several lenders. A home loan is a major purchase and it is well worth your time to research various lending sources so that you can be confident that you have obtained the best deal available at the time. You can save thousands of dollars over the years simply by doing your homework.